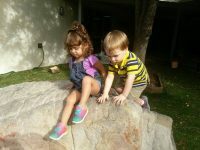 Our adventure of turning our playground into a Nature Explore Classroom began with the purchase of our “rock”. 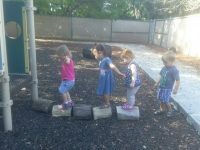 This was our first step…and it has continued to develop into the playground/classroom that you see today. 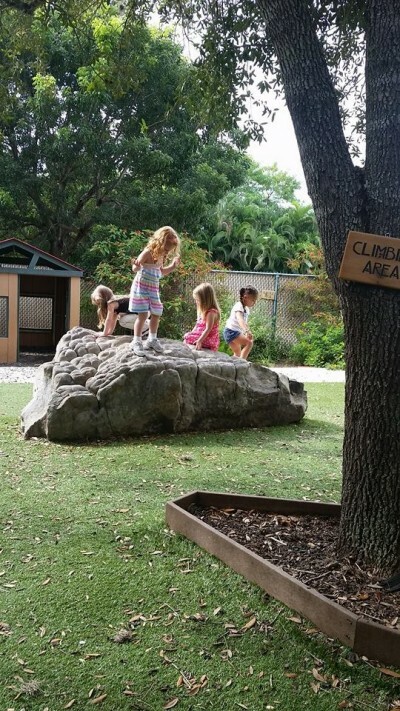 The rock is definitely one of the prominent features on our playground, and we have loved it ever since. There have been so many people who have contributed to the project, including parents, staff and their families, children, business community members, community service groups, and other volunteers. This classroom has become a favorite area for the children and their families as well. 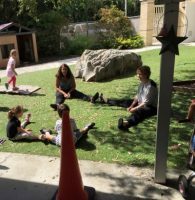 Our classroom will continue to expand and develop as we work on it to truly make it our own and embrace the concept of an outdoor classroom.